I have a girl crush on Flora Grubb. She has terrific garden store in San Francisco. Check out an interview with her over at the design*sponge guest blog. 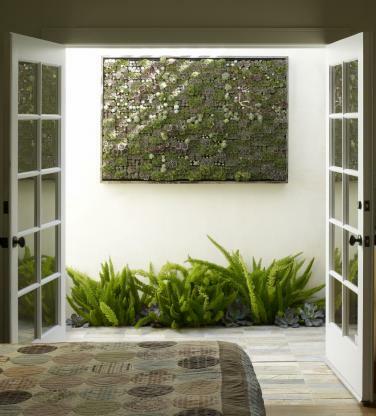 I would love a wall of succulents. SO amazing. 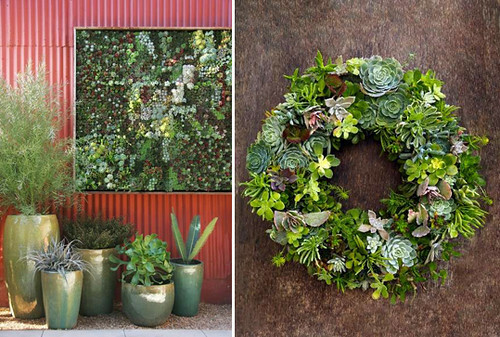 I love all of these, and I think I need a succulent wreath for my door. Gorgeous. The outside of our local Anthropologie is entirely a wall of succulents. While I know it's a bit twee and obviously very Anthro I still love it.